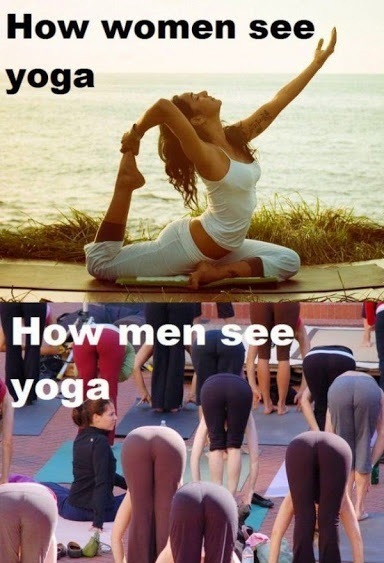 These pictures you are about to see seem hilarious but it is the fact. The orientation or Men and Women is quite different even though we belong to the same species -human. 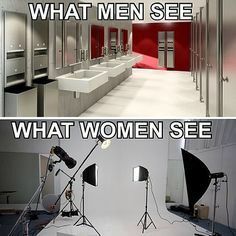 And These pictures make the difference in orientation clear in a funny way. 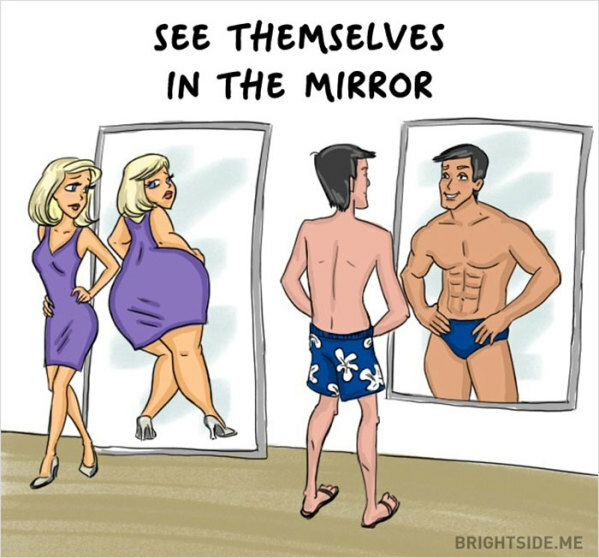 While men tend to see themselves fitter than they truly are, women are obsessed with their weight and thus they usually feel that they weigh more when they don't. 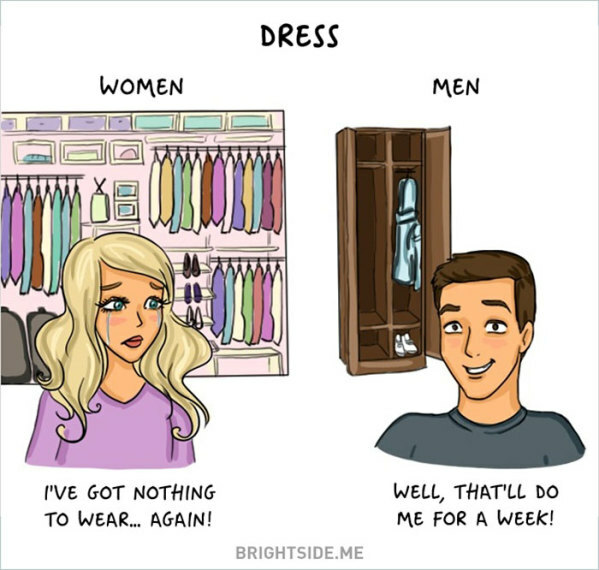 Because women want to flaunt their appearance, they have difficulty choosing what is right to wear while men on the other hand go with what is available as long that it is not dirty and un-ironed. 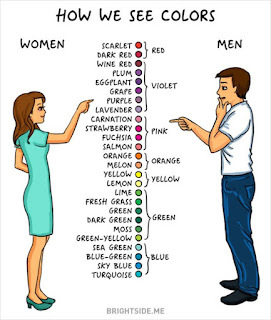 Because of their obsession about fashion, women tend to take note of every single shade of colors while men classify them as the same.